After 40 years in storage, one of the jewels of the Smithsonian’s tractor collection—the 1918 Waterloo Boy—is getting its moment in the spotlight. 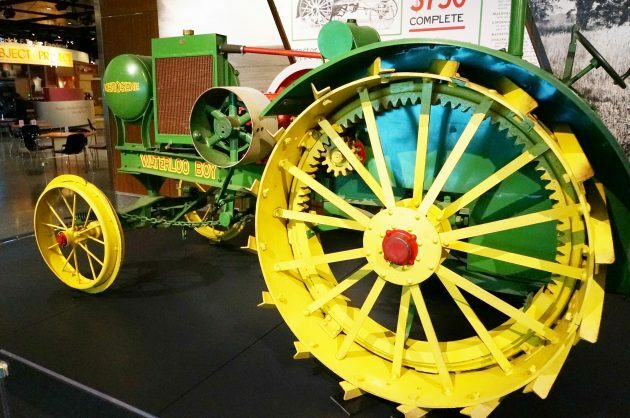 2018 is the Year of the Tractor at the Smithsonian’s National Museum of American History in Washington, D.C., and staff at the museum are plowing deep into America’s agricultural past to bring up a bumper crop of facts about these unsung heroes of the American farm. The Waterloo Boy went on display Feb. 22 in celebration of its 100th birthday. 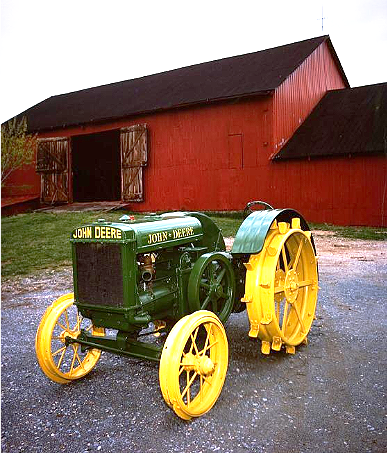 It is the first tractor marketed by Deere & Co., after the company acquired the Waterloo Gasoline Engine Co., in March 1918. 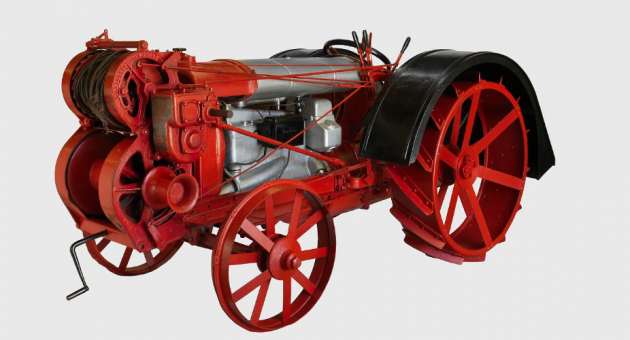 One of the first tractors to successfully utilize the combustion engine, Waterloo Boy helped sow the way for an agricultural revolution in America. 1. 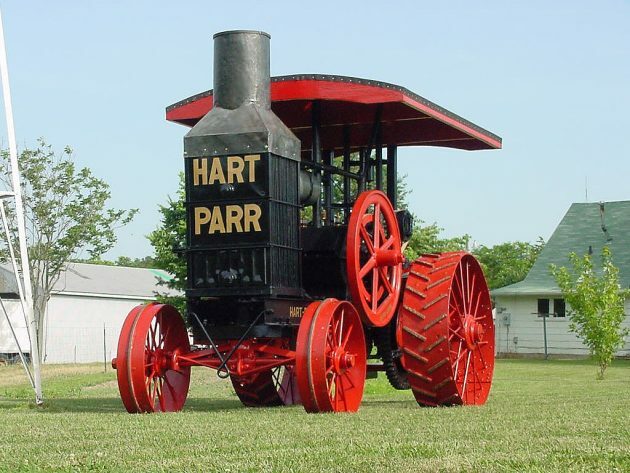 The earliest tractors were huge, heavy and steam-powered. The first tractors to hit the market near the turn of the 20th century were hulking masses of steel. These monstrous machines—weighing between 40,000 and 60,000 pounds—were powered by steam engines. Difficult to use and maintain, while also cumbersome and ill-suited for the rough and muddy life on the farm, steam-powered tractors soon gave way to the innovations of the internal combustion engine in the early 1900s. Fuel-powered engines sparked a race among manufacturers to create a user-friendly tractor that could perform in all types of harsh conditions in the field. 2. Automobile companies were first to dominate the tractor market. Combustion engines powered the chugging heart of the burgeoning automobile industry, so it was only natural that car manufacturers became heavily involved in early tractor creation and sales. In 1923, Ford Motor Co. held 75 percent of the tractor market in the U. S., but as technology advanced in leaps and bounds, competition in the industry heated up. By 1928, Ford had exited the tractor business. “Inventing something is often the easy part. Innovation is harder, being able to manufacture something is the tough part, scaling up knocks most people off the market,” says Peter Liebhold, curator at the National Museum of American History. 3. Cheap tractors in the late 1920s helped launch an agricultural revolution. With more than 150 companies manufacturing various tractor makes and models in the 1910s, competition became fierce. To maintain market share, some companies started offering their machines for less than it cost to make them. Low prices made it possible for thousands of small-scale farmers to afford a tractor, and ownership jumped. In 1916, about 20,000 tractors were sold in the U. S.; by 1935 that number had jumped to more than 1 million. Kerosene was a second critical factor that ignited tractor sales, Liebhold adds. “Waterloo Boy ran on kerosene, and at that time there was already an infrastructure to supply and sell kerosene in place, making it very consumer-friendly,” he says. Hardware stores soon were selling kerosene for more than just lamps and stoves. 4. Tractor-based farming changed the game. Horses and mules must be fed and cared for year round, and farmers needed to set aside about 6 acres of land to harvest feed per animal, per year. With those extra acres now available to grow crops for market, and a tractor that only consumed fuel when it was running, farmers were thrust further into the cash economy. The shift from animal-powered to mechanically powered farming increased productivity and made what had always been a challenging occupation more efficient. Innovations followed at a breakneck pace after the tractor’s basic machine elements had been engineered. Transmissions, pneumatic tires, hydraulic lifts, power take-off and three-point hitches made the tractor essential to running a farm. 5. Tractor innovations still drive modern agriculture. Just as Waterloo Boy was the symbol of early American innovation in farming, technology continues to aid farming’s evolution. Crop yield monitors and GPS field navigation first appeared in agriculture in the mid-1990s, allowing farmers to map their crop yield, and even soil quality, on every inch of their acreage. “Green Eggs and Ham,” one of the first GPS receivers developed for farming, is on view at the museum’s “American Enterprise” exhibition. It was high-tech in its time, but GPS devices for tractors have only gotten better and more exact. 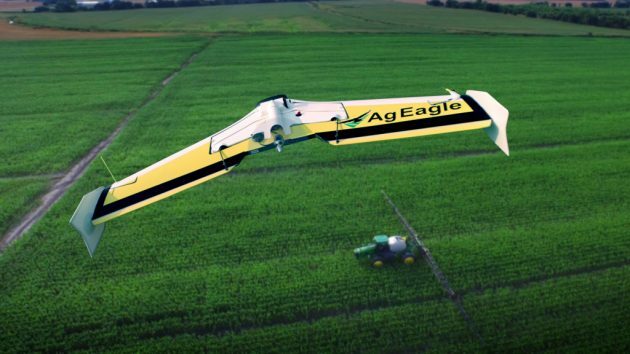 Now with everything from self-steering tractors to automated no-till farming (a way of growing crops without disturbing the soil), agricultural efficiency continues to move forward. 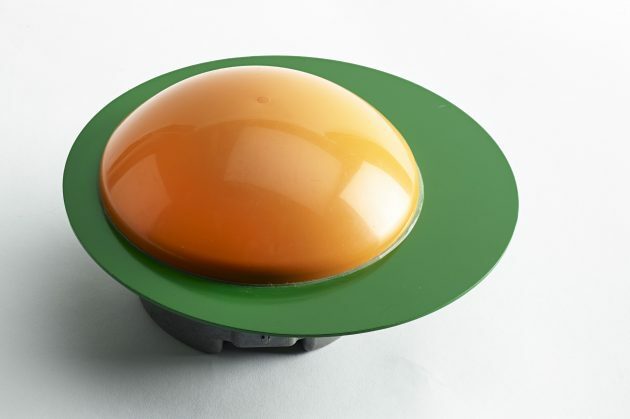 Today, GPS devices can measure within an inch of a tractor’s location on the farm, taking the guesswork out of crop management for farmers everywhere.